Gator Cases are designed to meet the needs of the most sophisticated buyer. Rugged ABS construction to handle the battle of the road, yet the interior is fitted with "Class A" plush. The case is lockable. Now featuring the patent pending bolt-thru system, which bonds the exterior to the interior at the handle! 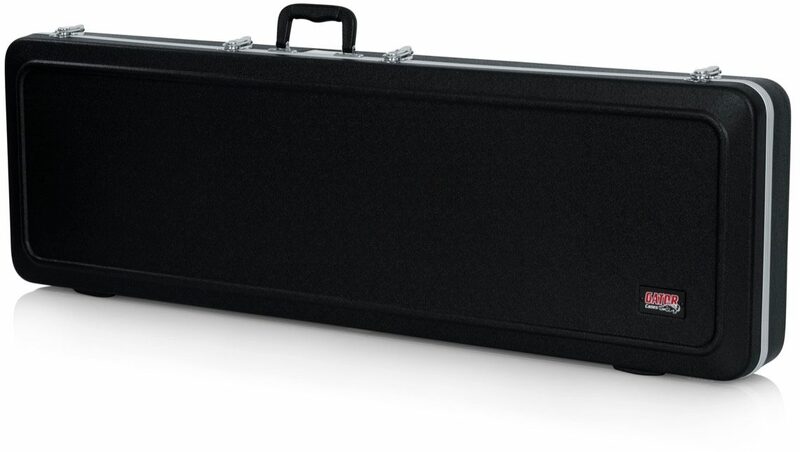 Gator's molded guitar and instrument cases are made of the finest ABS plastic with ultra-strong extruded aluminum valance. 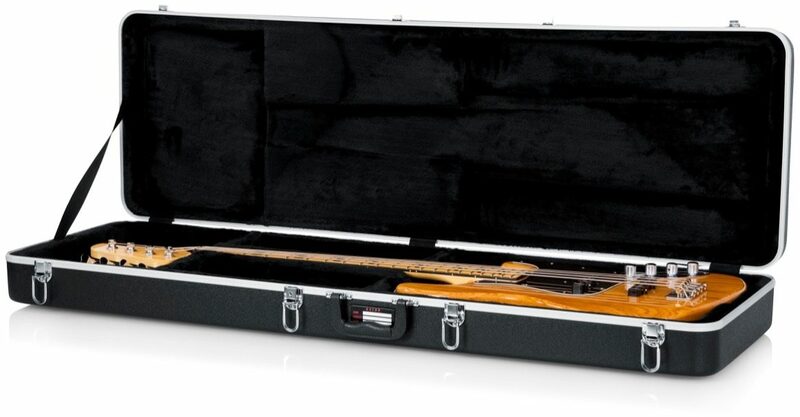 Unique to Gator is a through-bolted system that attaches the exterior plastic to the interior foam, making this case much more rugged than other manufacturers' plastic cases. 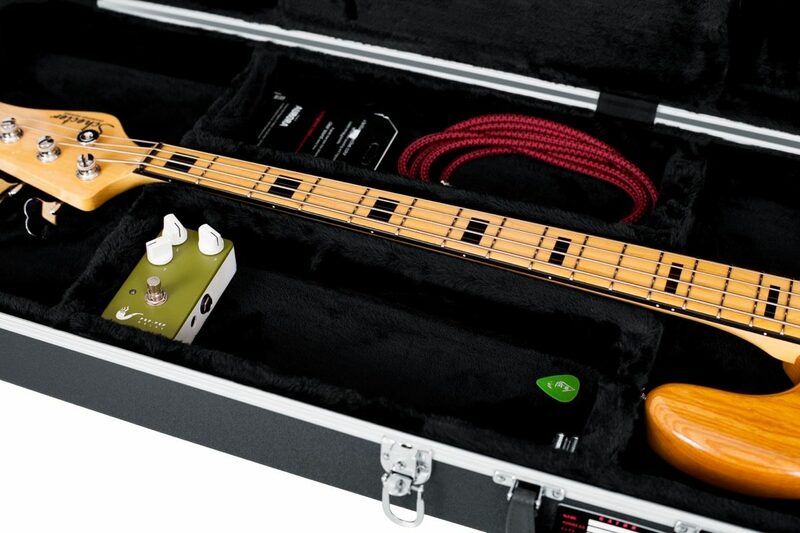 The interior is designed to keep your instrument safe with EPS foam creating support for the neck and a thick plush interior that delicately protects the instrument. 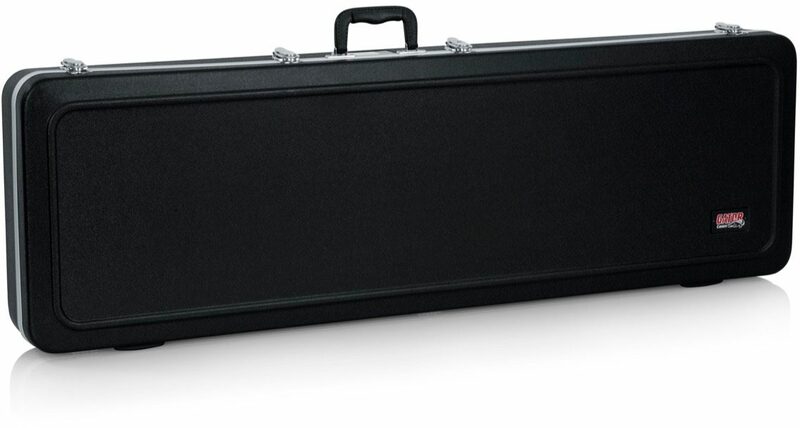 These cases also have an interior pocket and triple plated chrome locking latches. 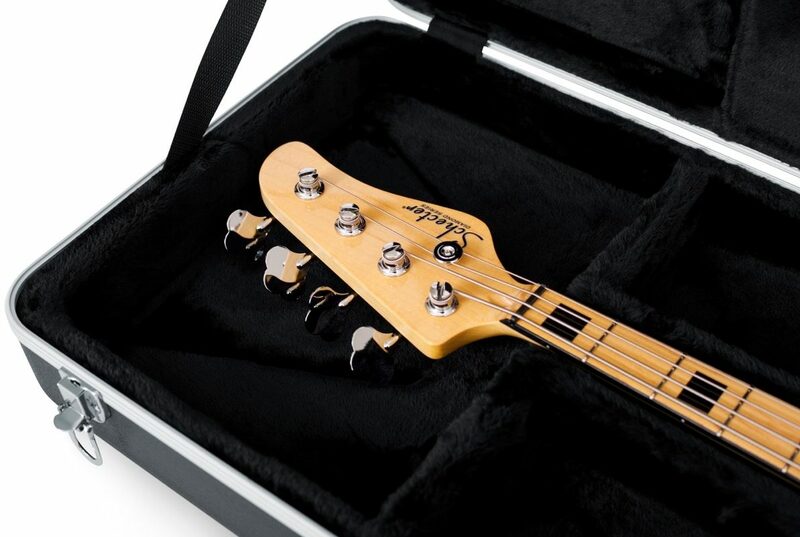 Universally designed and now manufactured for almost every style, these cases are sure to be a perfect fit for your cherished instrument. Body Lower Bout Width: 13.625 in. Middle Bout Width: 13.625 in. Upper Bout Width: 13.625 in. Length Total Length: 47.5 in. Heights Bottom Body: 3 in. Miscellaneous Accessory Space: 22-1/2 in. x 6-1/2 in. x 2 in. Exterior Dimensions (LxWxH): 49.5 x 16.5 x 6 in. 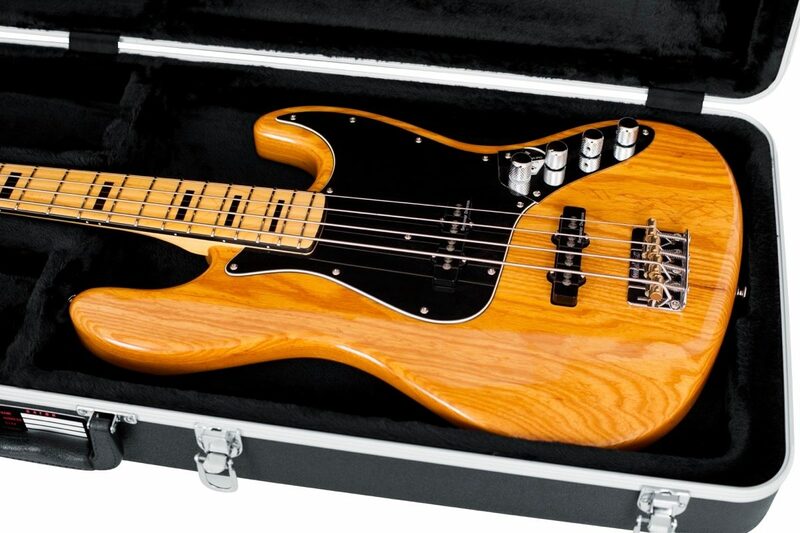 "My second one, still a good choice"
Overall: This year I bought an Ibanez SR300L lefty bass, and it fits in this case. 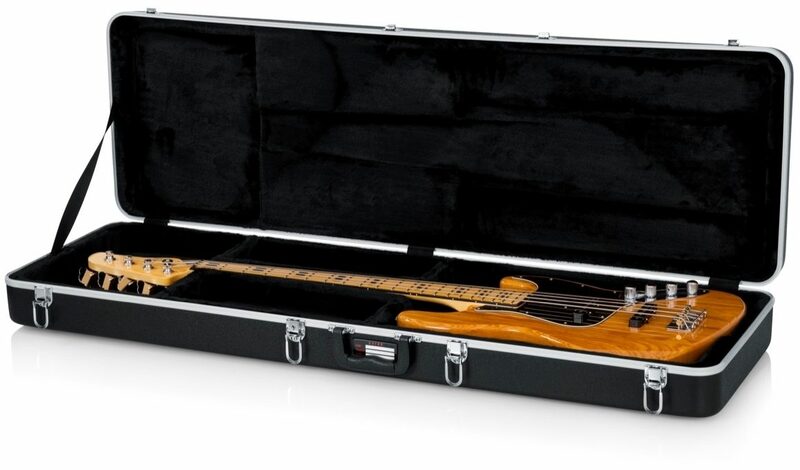 In fact, Zzounds shipped the bass inside the case, and it arrived in one piece, so it must be a good case. One of my cats likes to sleep in the case when I'm practicing, so it's got to be good! I wonder if they sell a vacuum cleaner or something to get out the cat hairs? 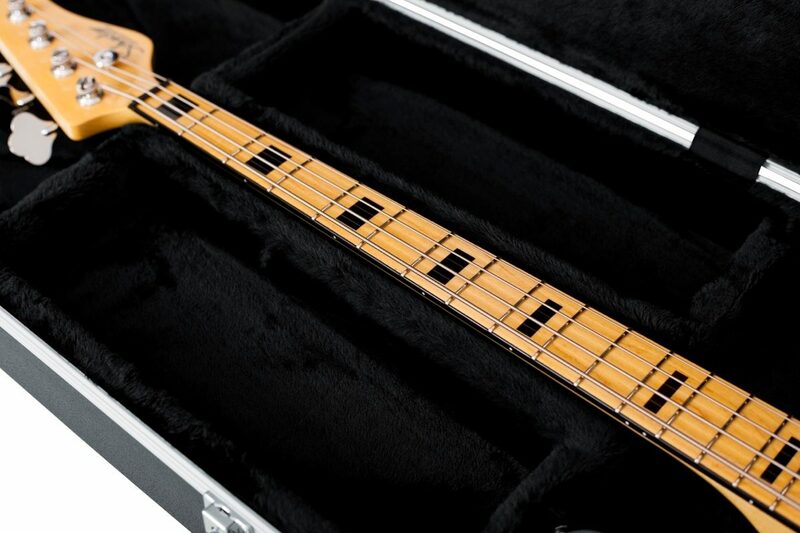 "Great bass case and decent price! ZZsounds works for me." Sound: Case is great and for the price I couldn't find a better deal out there--so I bought two! Delivery was fast and packed very well.